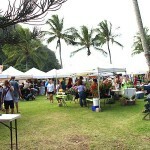 You might have known this market from it’s old location right in Haleiwa town itself. It’s the same event, just moved over to Waimea Valley. Keep in mind that a lot of people come to see the waterfalls here, so parking can be hard. The backdrop is almost rainforest, creating a great atmosphere that befits a tropical market. 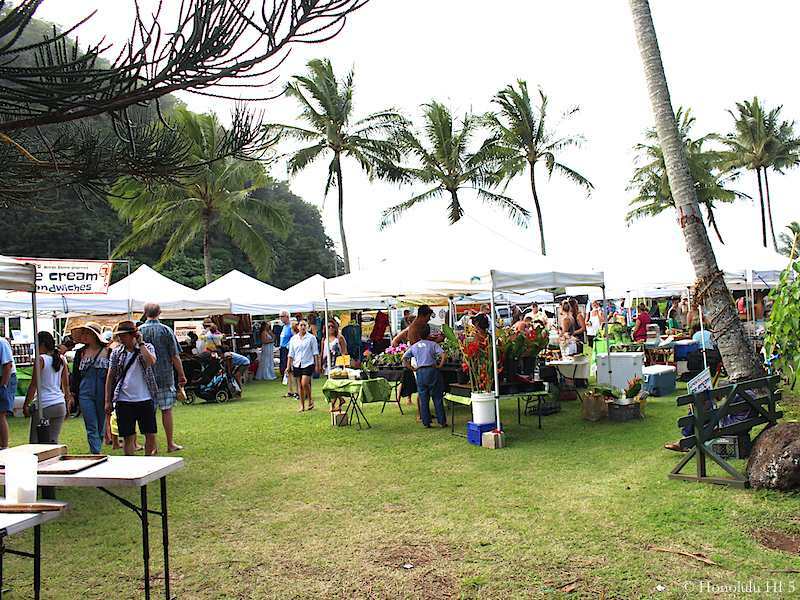 If you like a good setting with your shopping, you’ll get it in Waimea Valley. This is another one where coming early is suggested so you don’t miss out on some of the most in-demand items. 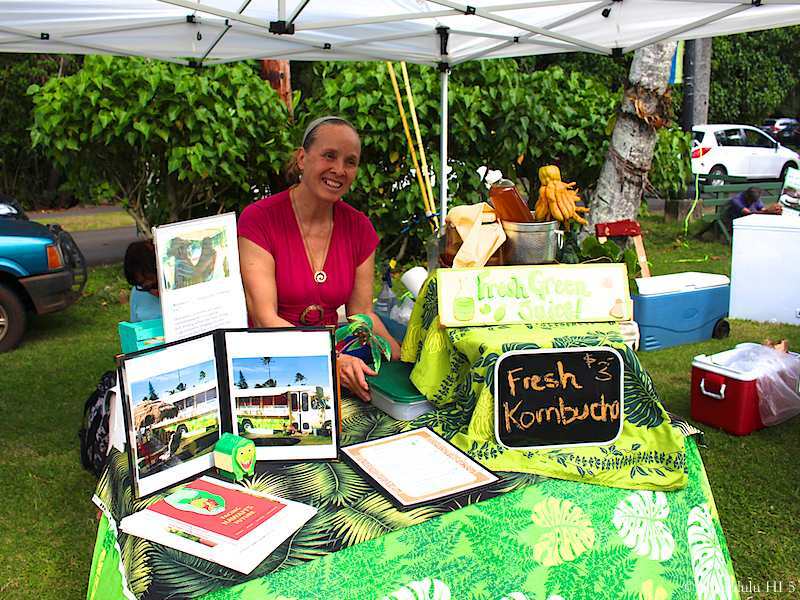 There are a lot of farms on the North Shore so your greens selections tend to be very good. This area is home to a lot of artists as well, in many mediums, so you’re guaranteed to find handmade jewelry and other work displayed and for sale, of course. Another great thing about this event is they keep you entertained. There’s live music playing plus arts & crafts activities for the kids so you can look around in peace. 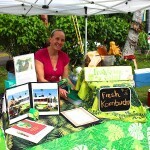 For those adults who like to entertain themselves, there’s even a bar, possibly the only one at any Oahu farmers market! Don’t leave without trying the ilikoi bread and pastries from the bakery stand – it just might change your life.